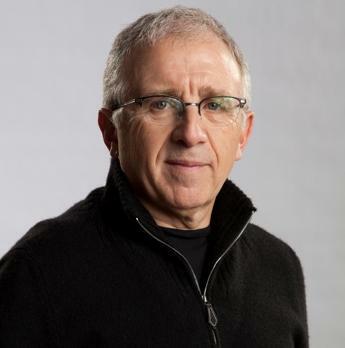 Irving Azoff has released a short but moving statement about the passing of his former partner, Howard Kaufman. Howard was a giant among men. He never sought the spotlight, but was the best in the business. We worked together for more than 45 years. He was a great influence on me and taught me a lot. Despite his major health issues, he always wanted to work till the end and I’m glad he got his wish. It’s a tragic loss for our industry. He will be missed by me as well as scores of others he touched. Pollstar confirmed Thursday that Kaufman had passed away. No further details were available at press time. Kaufman was one of the most powerful managers in the industry despite keeping a low profile. At the time of his death his company, H.K. Management, shepherded acts like Stevie Nicks, Aerosmith, Jimmy Buffett, Jeff Lynne’s ELO, Lenny Kravitz, Chicago, and Def Leppard, along with co-managing Fleetwood Mac. Kaufman and Irving Azoff ran Front Line Management from 1974 to the early '80s until Azoff was named prexy of MCA Records. The two merged their companies in 2005 and resurrected the moniker. Kaufman became a special adviser to Azoff when Ticketmaster bought the company in 2008 and Azoff was named CEO of Ticketmaster Entertainment. He is also credited, during his days at IFA, with encouraging Fred Bohlander and Dan Weiner to step out on their own and form Monterey Peninsula Artists. He famously told a household name band he'd make them more money in two years than they had in the previous twenty. Most people don't know who he was. Because unlike those that followed him into the business, Howard was not about fame, he was about protecting the interests of his artists, and money. And everybody cares about the money. Knock around this business long enough and you'll hear the famous cliche... "It's not about the money, it's about the money." And Howard started off as an accountant. He worked with James William Guercio. And then he went on to partner with Irving Azoff and steer the careers of Jimmy Buffett and Stevie Nicks and Aerosmith and Def Leppard and... You want someone in your corner, and that was Howard. He could be funny and he could be stern, but one thing's for sure, you could not pull the wool over his eyes. The first time I met him was on a plane down to Chula Vista, to see Jimmy Buffett, and he told me Fleetwood Mac was gonna reform and I asked him about new material and he told me he'd be happy if they never made another record. This was 2003, he already knew where the bucks were buried, on the road. You see old does not mean dumb, does not mean over the hill, oftentimes it means wisdom and foresight and Howard had it. I won't say he died before his time, prematurely, that he was cut down in his prime, he was 79, but yesterday he was in the office, manning the phones, working, he had time left on his clock. Only it turned out he didn't. This has been a very strange year. Although the press has gone on about the passing of legends, from Bowie to Frey to Prince to George Michael to lesser luminaries like Dan Hicks, even Leonard Cohen, the story has been about the individuals and their work. But really, it's about the passing of an era. This music business didn't sprout in its present incarnation overnight. There were a lot of twists and turns, it was invented along the way. Bill Graham may have institutionalized rock concerts, but it was Led Zeppelin's manager Peter Grant who flipped the script, who had Jimmy and the boys getting ninety percent of the money, because after all, everybody knew the show was gonna sell out. And in the twenty first century, Jimmy Buffett was getting over a hundred percent of the gross. How can that be, you ask. Because even if you give him all the ticket revenue you're gonna make bank on parking and merch and food and beverage. Hell, if you're a guaranteed sell out there's enough money for everybody. And there was plenty of money in the seventies. There were no billionaires. Rock stars were as rich as anybody in America. The only difference was, they were beholden to nobody. If they acted out, the manager just peeled off enough hundreds to make it right. It was the wild west, no wonder the Eagles made a concept album entitled "Desperado." And we've had a couple of revolutions in this century. We had Napster and the changing of distribution to all you can eat streaming. And, of course, the internet has also fostered the social media revolution, and tech has made it so the cost of production has sunk. But the era of the one of a kind musician, riding through town defining the game as he played it? That's through. Most of the business has become institutionalized. So, it's not as simple as David Bowie's body of work, it's also about hearing of an act that's not on the radio and buying the album and becoming infatuated and going to see the act at a club or a theatre where they blow you away and you tell everybody you know and you drag them to the next show and eventually they get a song on the radio and everybody knows and you tell them you were there first but all the time you're foraging for new acts. And the acts neither sounded the same nor used the same producers. And their skills were paramount, how they looked was secondary. If you couldn't sing, write and play, you couldn't make it. And if you didn't have the right team, your career was a nonstarter. You ended up with Howard. After you'd been ripped off by others, because Howard knew the landscape, he knew where every dollar was buried. In a world where concert promoters show you books that say they lost money, how do you figure out the real numbers? The kickback from the hall, the advertising shenanigans...only through experience. There was a plethora of people who learned this way. There were no school programs, there were no books, because it was being invented along the way. And now they're passing too. You can read about some thirty year old wanker getting a promotion at the label but that person... It's like working on the assembly line making cars in Mexico. You're filling a role, but it's very different and with a lot less excitement than it was working at Ford a hundred years ago, never mind being Ford. But the baby boomers remember. Right time, right place. The Beatles were on TV and it all blew up. But that was more than fifty years ago. Some of the music survives, but most of the story does not. How we got from there to here. From terrible sound systems with no production to great sound systems with hi-def projection. From tickets sold for $3 at record stores to clicking to buy on your mobile phone from StubHub for over a hundred. I'll let others who knew Howard better tell his story. But I was always intrigued by both his intensity and his laughter, and his dedication to the job. Because it's about the work. Whether you're slinging burgers at McDonald's or pushing paper at Goldman Sachs, you spend a lot of time there and you've got to enjoy it. And, if you dislike where you are, you have to find a way to something better. To the point where the day before you die, despite having enough cash for your whole neighborhood to retire, you go to work, because you love it. Howard Kaufman loved his job. And those he represented loved him. And in a world where we're all ultimately forgotten, that's all you can ask for. Sad for sure, losing someone always is. Is this where Stevie was getting her views? "The first time I met him was on a plane down to Chula Vista, to see Jimmy Buffett, and he told me Fleetwood Mac was gonna reform and I asked him about new material and he told me he'd be happy if they never made another record. This was 2003, he already knew where the bucks were buried, on the road." And why is the buck buried on the road? Inflated merchandise and now Live Nation Entertainment, who bought Ticketmaster etc, is inflating the tickets. "Kaufman became a special adviser to Azoff when Ticketmaster bought the company in 2008 and Azoff was named CEO of Ticketmaster Entertainment." Well, Stevie put out In Your Dreams in 2011. Look, some of us want a new FM album and Stevie doesn't want to contribute to one. That's her right. Some FM fans may not like it but let's just accept that and be grateful for the vast catalog they do have. I agree Marcia. Well said!!! This entire thing is getting out of control. The point is not that records don't sell. The point is that millionaires shouldn't care about that. If you're a true artist, you write and record songs because that is what you live for. Certainly nowadays they can simply record a whole record at home and it costs them nothing. Producing cd's: little cost, but they could also release it on their own website. Long story short, why keep supporting artists playing the same tired setlist so they can buy a tenth house, and who aren't giving us any new material? If they came out and said: well, we have no inspiration left, fine, then we know where we stand. Then we as fans can go our own way.